Chances are, your business runs on technology. Who is your technology and IT service provider? If you have a website, a telecommunication phone system, computer network, or sales meetings, technology is an integral part of your business. Technology helps you bring in more customers, communicate with your team, and streamline operations. When it comes down to it, your technology just has to work. That’s why you need the experts who go the extra mile to service your business. That’s why IC Datacom and Nerds Xpress want to be your technology, telecommunication, and IT service provider. 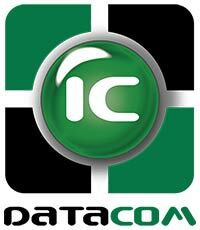 For small and medium business, IC Datacom is just the beginning. While we specialize in providing quality technology and service for education and the public sector, our partner, Nerds Xpress, excels at servicing small businesses. Together, we’re your full-service technology and IT service provider. Whether you need a new telecommunication system, audio visuals, or networking help, Nerds Xpress is positioned to take care of all of your technology needs. Our experts are trained to design, install, and maintain your technology. We’re also committed to making sure your team gets the necessary training to take advantage of everything we have to offer. We’re not just your telecommunications, technology, and IT service provider. We’re your partner in technology. Does the technology in your meetings run flawlessly and enhance your discussions? Does your computer network provide dependable access to your database? Do you feel safe knowing your security systems and personnel are right for your business? Imagine if you had all this, and more. Imagine if your technology expectations were met and exceeded by IC Datacom and Nerds Xpress. Technology is our business. So when IC Datacom is your technology and IT service provider, you can focus on what matters most to you, no matter what your business is. Contact Nerds Xpress today to find out how you can get a free consultation where we’ll create a comprehensive technology blueprint that satisfies all of your technology needs.